Welcome. On these pages you will learn about messianic “Jews” and other similar groups such as Torah Observant Christians, whose goals are to convert Jews to Christianity.They do this through the lie that you can believe in Jesus and still be a practicing Jew. Millions of dollars are raised by evangelic Christian missionaries for this sole purpose. It sounds crazy, I know, but they have an agenda and it’s not a good one. Their reach is global with a focus on Israel. My hope is to show you the truth so that not one more Jew will be lost! I have noticed a growing number of Messianic Temples as well as Torah observant Christians. I’m not sure of how to feel about or respond to this. As a Jewish mother it makes me feel insecure. I have no problem with people converting from one faith to another. My problem is with evangelical Christians who fund and run messianic “Jewish” congregations. They wear tallesim, kippot, sing Hebrew songs, dance Hebrew style dances, have Christian “Rabbis” and do everything they can to appear Jewish. Then they entice unsuspecting Jews of all ages and backgrounds, using methods they have been well schooled in, to get them to accept Jesus, or as they say, Yehoshua, first as their Jewish messiah and eventually as their savior. They do this because they believe it will bring on the second coming. They have raised multiple millions of dollars from Christian supporters under the guise of supporting Israel. It is a global effort with a concentration in Israel. In an upcoming blog I will be going into why they feel the need to do this and what they think will happen to non-believers; it isn’t nice, believe me. I have visited both a Messianic congregation (Beit Shofarot) and a Reform synangogue, and while I do find them similar, their beliefs do differ. I believe that you should leave the Messianic congregations alone and quit criticizing them for practicing their beliefs, unless they are hostile in activing pursuing converts from the Jewish faith. I understand that you don’t want the line blurred between the two religions, however, you should not try to re-establish that line by over criticizing the Messianic movement. Cody, I do not know whether or not you are Jewish by birth or an evangelical Christian acting as if you are a Jew. In either case my response to you would be the same. The only similarity between a Jewish synagogue and a messianic congregation is the layer of Jewishness that messianics copy from Jewish traditions in order to deceive Jews into believing their lies. If you have read my blogs, you would know this to be true.You seem to believe that I should stop telling the truth about the evangelicals that lie to Jews because I do not want, “the line blurred between the two religions.” Let’s start with the fact that there is no “religion” called messianic “Judaism”. 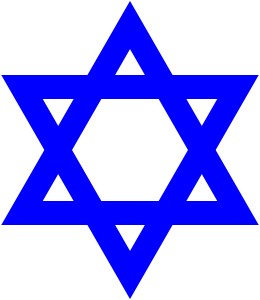 Once a person that is Jewish is deluded into believing that Jesus is the messiah, they are no longer Jewish, they are Christian. Therefore, messianic “Judaism” is a total misnomer. “To share our faith in Yeshua by word and deed, to our Jewish people as well as all peoples. “ Words to this affect are on every evangelical mission statement as well as every messianic “Jewish” website. To the Jews first. The goal of converting Jews to Chrisitianity (disguised under the name, messianic “Judaism”), especially in Israel so that Jesus will return, is their battle cry; and it is a battle. They want Jews to be Christian, we want Christians to stop lying about their made-up religion. “* To identify with the overall Body of Messiah, to share a vision with and to train churches in the Jewish roots of our faith as well as to our calling and responsibility to love, pray for, support and witness to the Jewish people and Israel.” Jews believe that the Messiah will come when certain factors happen in our world. We do not believe that a man named Jesus was the messiah. There is no body of the messiah in the Jewish faith. That is from the Christian expression, “The body of Christ.” They just substituted the word Messiah for Christjust as they subbsitute the word Yeshua for Jesus. Evangelicals “seed ” congregations. Part of this plan is accomplished through training missionaries in churches in how to lie to Jews and to start new messianic groups. Is this, “hostile”? You bet it is. They are waging war and the battle is for Jewish souls. If evangelical Christians think that the traditions of Judaism that they emulate are so wonderful, then they should be be converting to Judaism. After all, it is the religion of the man they based their faith on. Christianity was invented after the death of Jesus.Check out real history books. So Cody, if you want to know the truth of places like Beit Shofarot, read all of my blog, go to the sites I have recommended and read them with an open mind, not one blocked by the lies of evangelical Christians. Good Luck! You said: The apathy among the majority of our people is shameful. I have even been called horrible names by Jews because I oppose Israel taking money from these preachers who use it to convert Jews for their own agenda. Hopefully there will be more people seeing the truth as more and more of Israel is infiltrated by the phony religion they call messianic „Judaism‰.